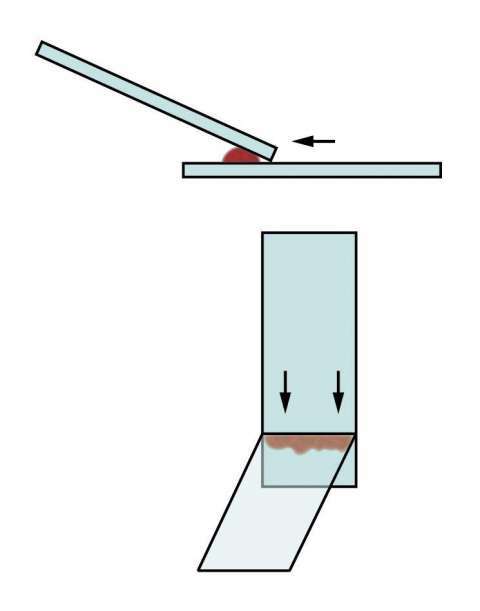 The technique described in the diagrams below is easy but does require practice to master it. 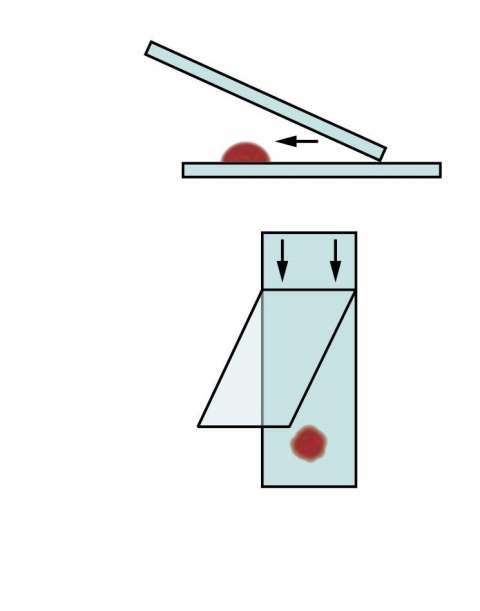 In cases of anaemia when the blood is very "thin" the angle between the two slides needs to be increased to shorten the smear and prevent the blood running off the end of the slide. Once the smear is made please air-dry quickly to avoid shrinkage artefact (a hair dryer can be helpful). 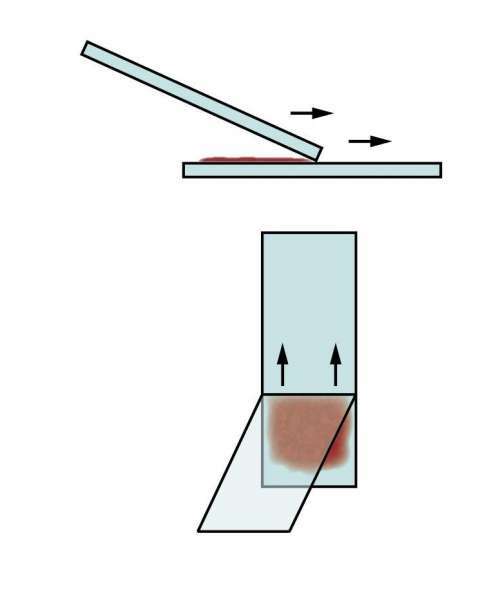 Please follow the diagrams to create good blood smears. 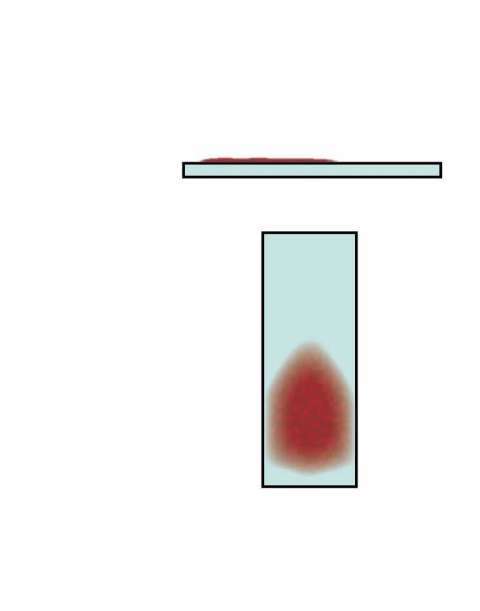 Important Note: Smears should be made at the time of blood collection to avoid in-vitro age effects and submitted with the EDTA sample.